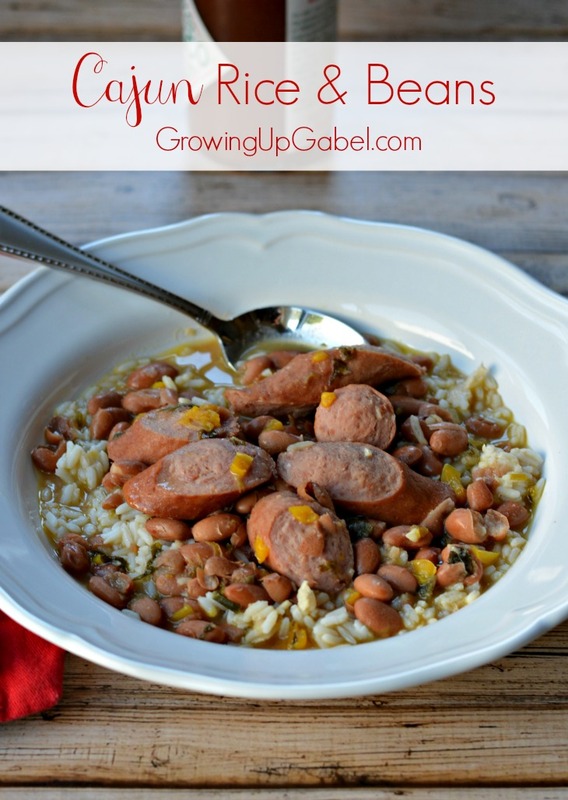 Cajun rice and beans is an easy one pot meal. 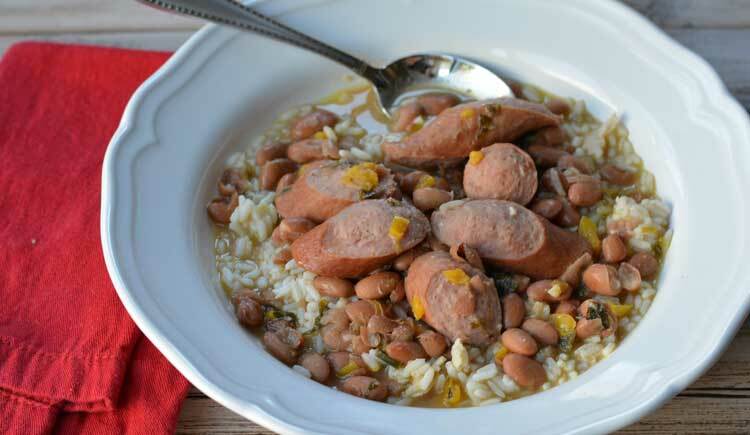 A sauce of beans and Butterball Turkey Dinner Sausage is served over a bed of rice for a filling and delicious meal. 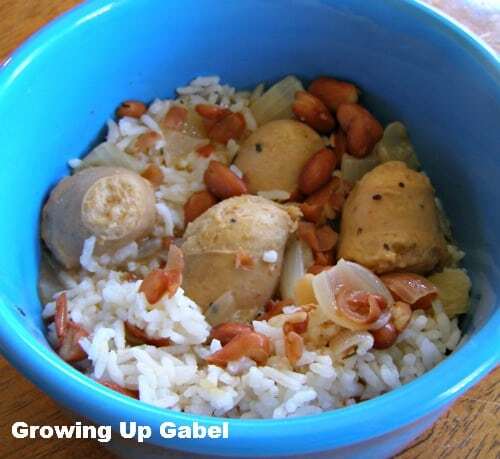 I've been making this beans and rice recipe for well over 15 years. It was given to me by a friend's mom right after I had graduated from college. She had made it for us for dinner one cold Michigan night and it was a pot full of yummy goodness. It's one of the most filling, tasty and economical recipes in my repetoire. The ingredients for cajun rice and beans are pretty basic. You need rice and beans, of course, along with onions, peppers, garlic, chicken broth and a few spices. 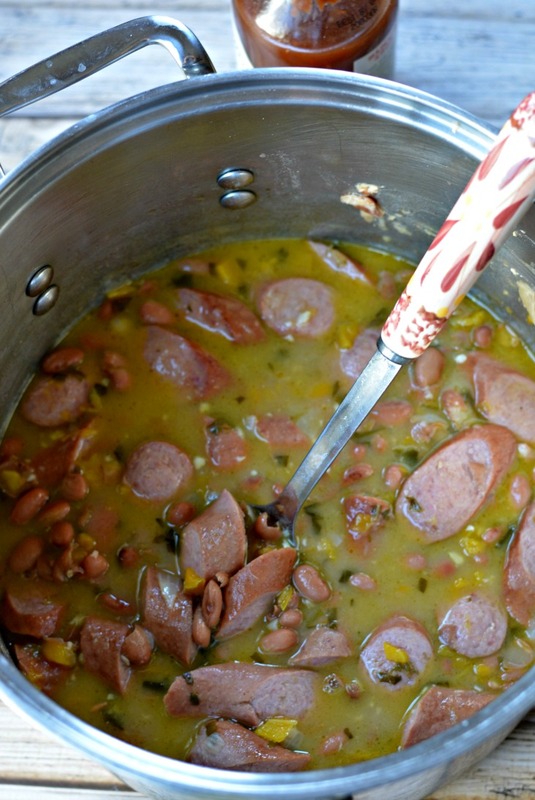 The recipe also calls for sausage to add a little meat. For this batch I used Butterball Turkey Dinner Sausage. 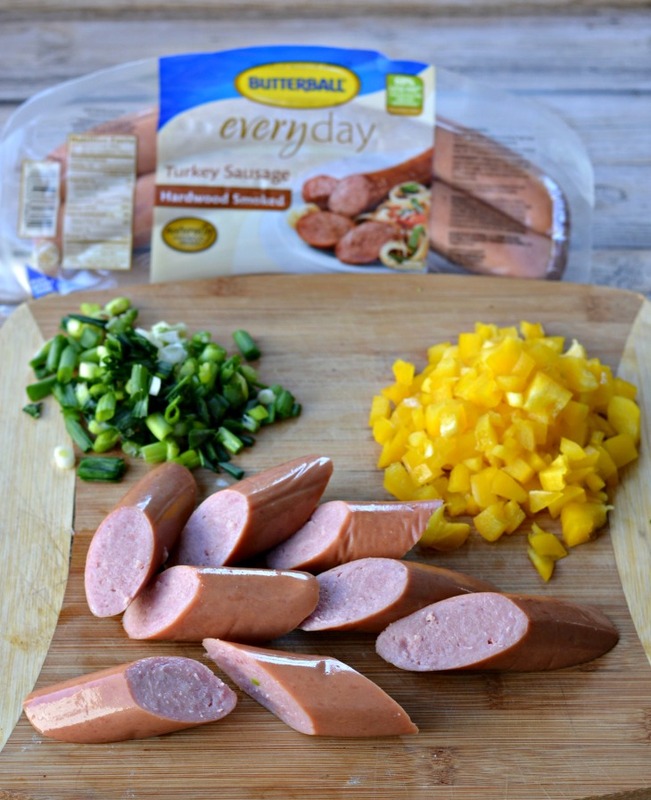 Butterball turkey sausage is 100% turkey and has 60% less fat than pork or beef sausage. I've been switching over to more turkey products and I was curious if anyone would notice the difference, but not one person did. I was able to make the dish a little more lean without sacrificing taste. 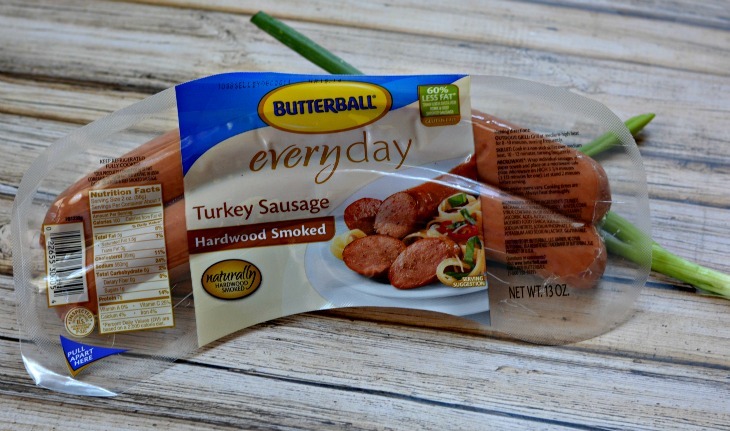 You can print off some Butterball coupons, too, to help make the dish even more economical. This is a pretty quick meal to put together. You basically cook your veggies until soft, brown the sausage a little and then let everything stew for 30-45 minutes. Serve over white or brown rice or even quinoa. You can adjust the hot sauce and cajun seasonings to taste to make the dish spicy or not. Saute onion, green onion, pepper and garlic, stirring frequently, until softened, about 5 minutes. Add sausage and allow to brown, about 5 minutes. Add chicken broth, beans, Cajun seasonings, Bay leaves, basil, and hot pepper sauce. Simmer for 30-45 minutes, stirring frequently. At the end of the cooking time, mash some of the beans to form a thicker sauce. Thanks Camille for the nice recipe. Have a Great Day and Week! Yummy and so economical. Thanks for sharing your awesome recipe. 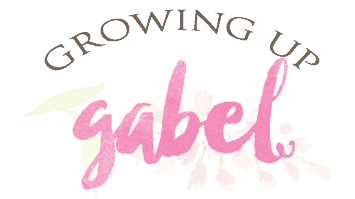 Thanks for stopping by and following! I could eat this once a week. 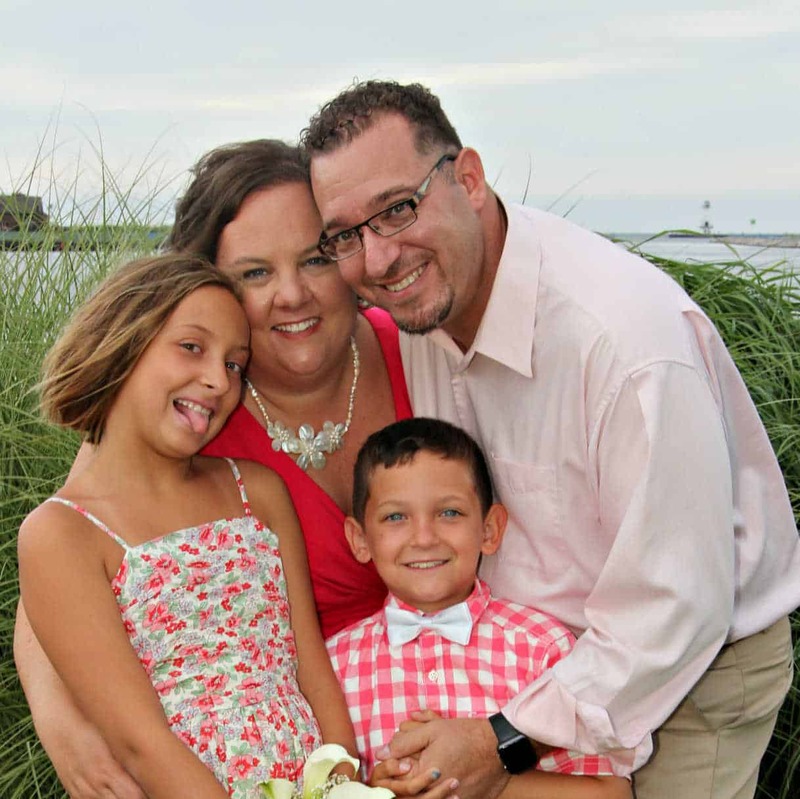 My family…. not so much!